Four nil looks empathic enough but the scoreline is deceiving. Homesters Hill Celtic had just as many chances as visitors Macroom but squandered them all, including two first half penalties (well saved by Shane O'Leary), and it is the visitors who march on to the quarter-final of the Murphy’s Stout AOH Cup and a home date with Greenmount Rangers next Monday afternoon. It was a hectic first half. Macroom went ahead in the 2nd minute when William O'Riordan collected the ball from a throw-in on the right and whacked an 18 yard beauty past keeper John Barton. Hill then went on the attack and keeper O'Leary was stretched time and again, especially by the lively Johnny Dorgan but it was Macroom who would score next. That second goal came in the 31st minute. Patrick Burns sent O’Riordan away and his slide rule pass put youngster Barry O’Donnell in for a cross that came back off the post to the experienced Red Kirby who stabbed it in. Hill Celtic didn't lose heart but took another blow in the 38th minute. 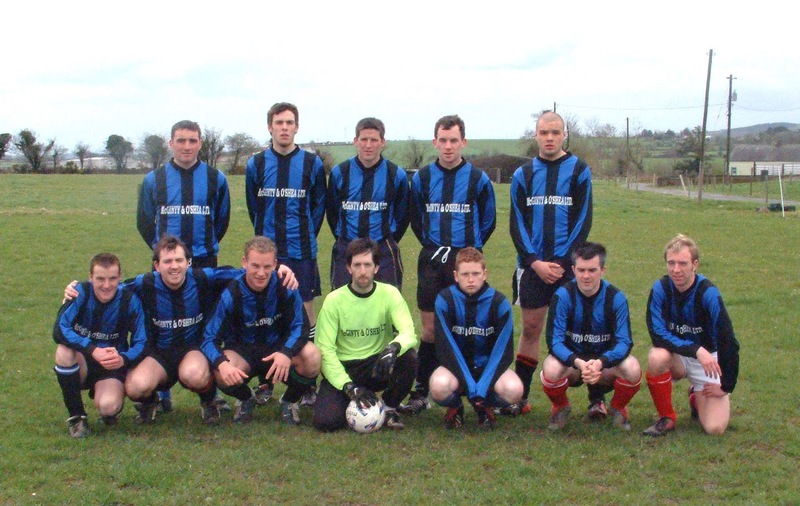 Macroom were awarded a spotter and William O'Riordan converted to make it an incredible 3-0. Then some more unbelievable stuff. Hill were awarded two penalties in quick succession. Both were taken by Paudie Cahill and each was superbly saved by the inform O'Leary. The second half wasn't as exciting and there were few enough scoring opportunities. 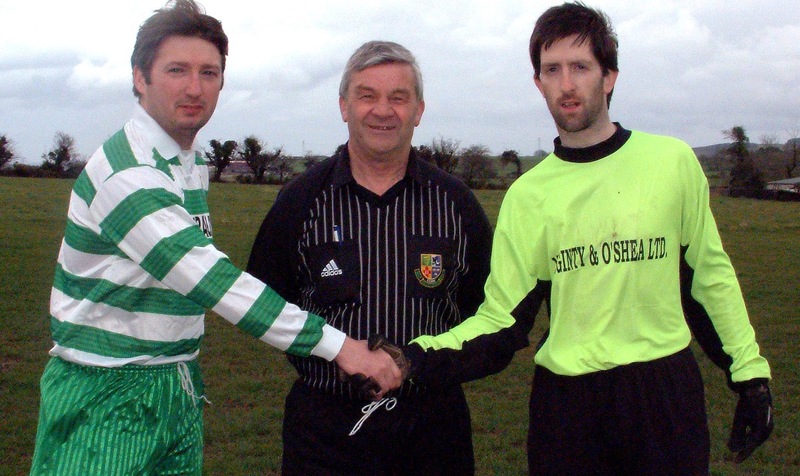 Hill, short their experienced centre-back pairing of Moss and John O'Keeffe, kept battling but had no luck at all. Macroom wrapped it up in the 78th minute when Barry O’Donnell latched on to a through pass and went on to slot the ball beyond goalkeeper Barton. Hill Celtic: John Barton, Morgan Foley, Ciaran O’Callaghan, Pa Moroney, Willie O’Leary, Paddy O'Regan, Wayne Kingston, Kieran Foley, Paudie Cahill, John Dorgan and Michael Reilly. Subs used: Paul Hannon for Kingston (67th minute) and Gregg Cahill for Paudie Cahill (77th). Macroom: Shane O’Leary, Pat Kelleher, Padraig Kiely, Peter Healy, Norman Kelly, John Angland, William O’Riordan, Patrick Burns, Barry O’Donnell, Redmond Kirby and Kevin Sheehan. Subs used: Darren O’Brien for Kiely (67th minute), Alan O’Connor and John McAuliffe for Angland and O'Riordan (both 76th).